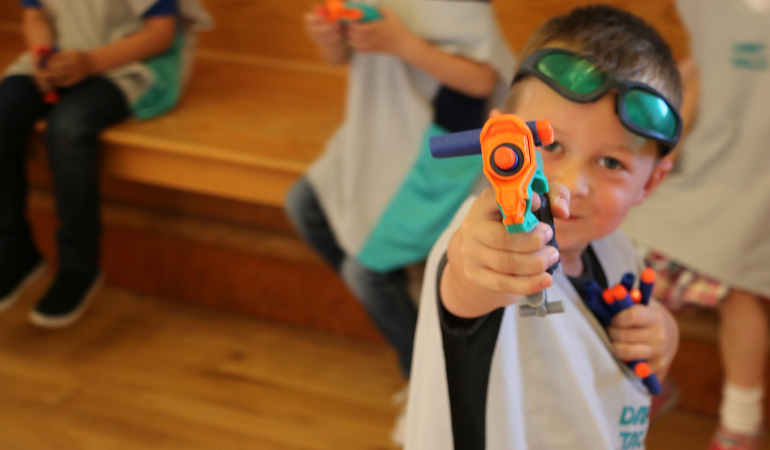 Our Nerf Wars parties are the Talk of the Class. Let us take full control of the party, from lightening enquiry responses right through to the day, we take full control, allowing you to sit back, enjoy and celebrate. 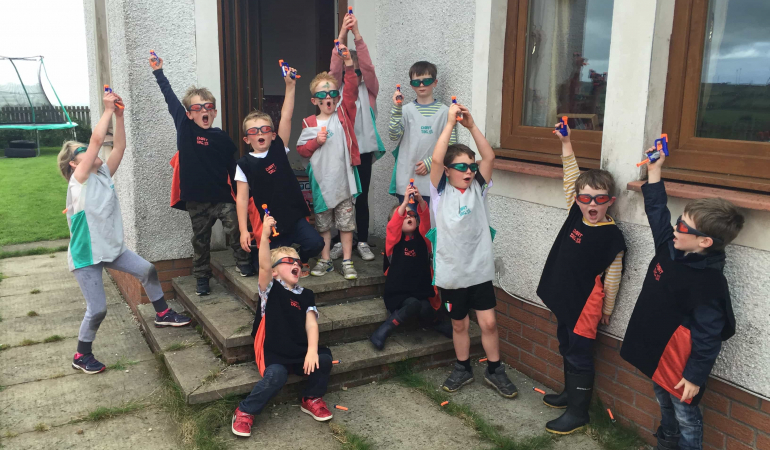 With over 600 Nerf Parties under our belts we have spent years refining our parties to create the very best Scotland has to offer. 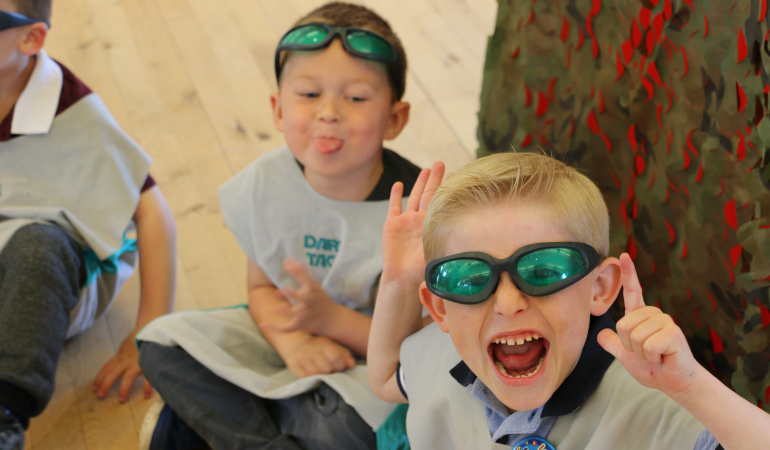 90 minutes of games, all carefully suited to your child’s age group and ability, our highly trained team will shout, cheer and guide the kids through the games, ensuring every guest has an incredible time. We bring everything needed for the Nerf party itself! 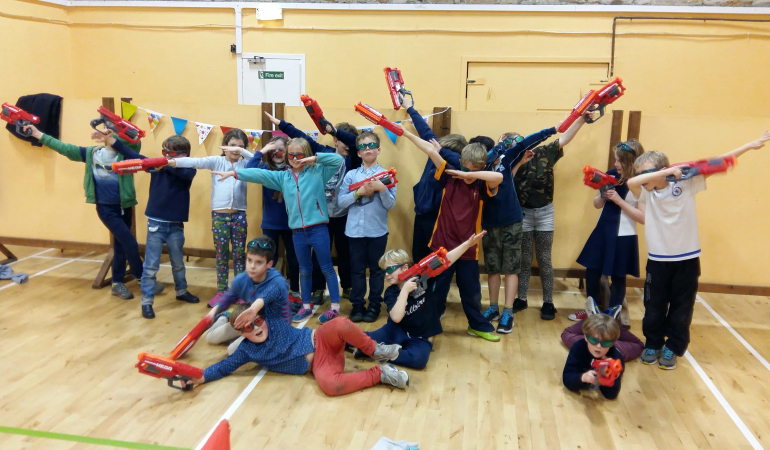 Guns, Glasses, darts and quick set up barriers for the kids to hide behind saving you time on hall hire. 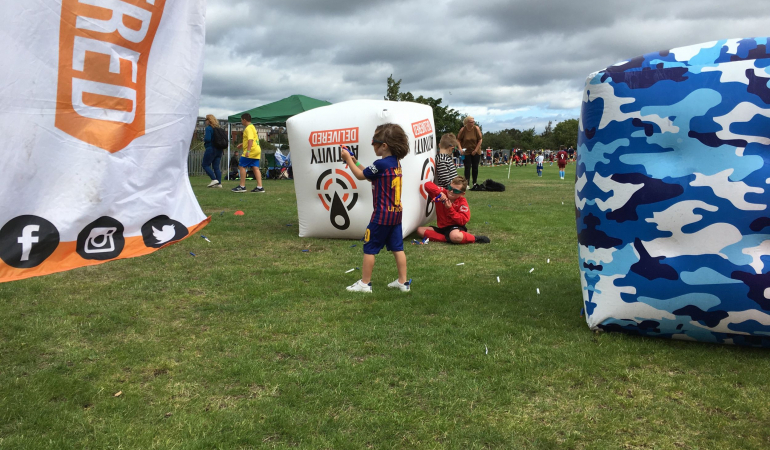 Our goal is to make it the easiest birthday party you have ever organised, from first contact with our full time team in the office to our staff on the ground. 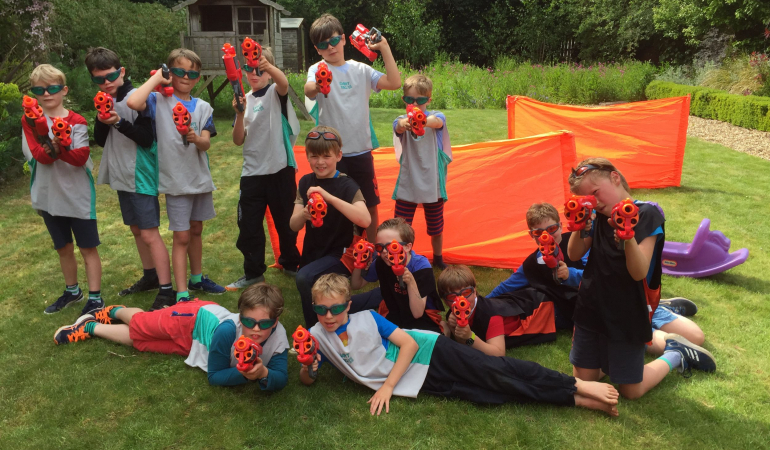 We have a variety of different packages available, from coordinated games run by our team to being able to hire our 150 gun kit for our own use! 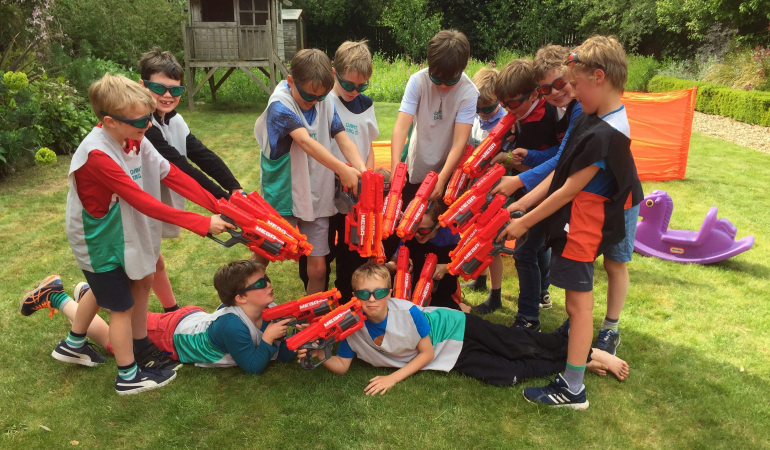 Our Nerf Wars parties start from £200.